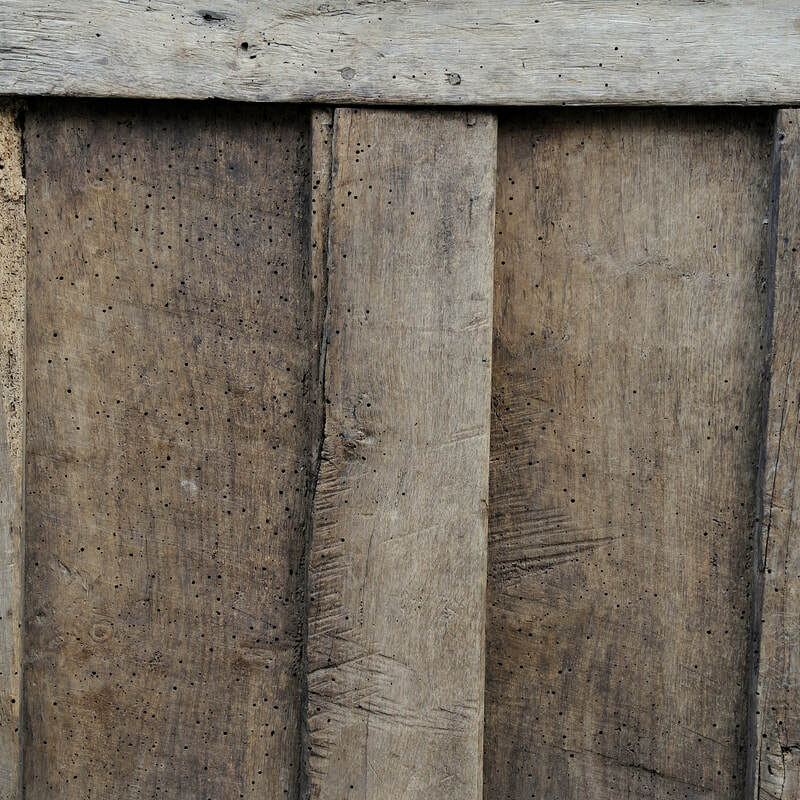 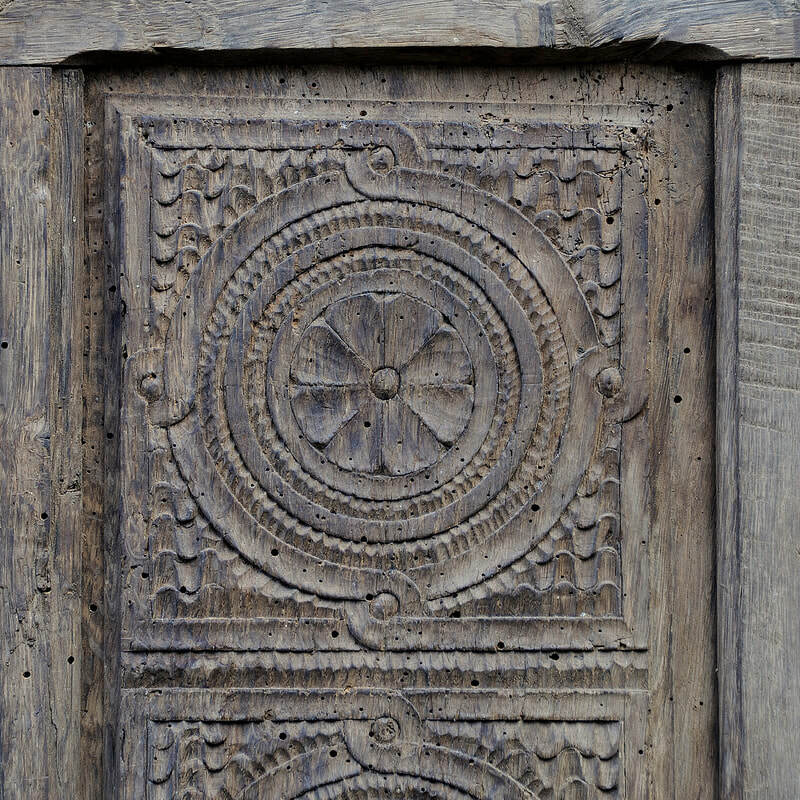 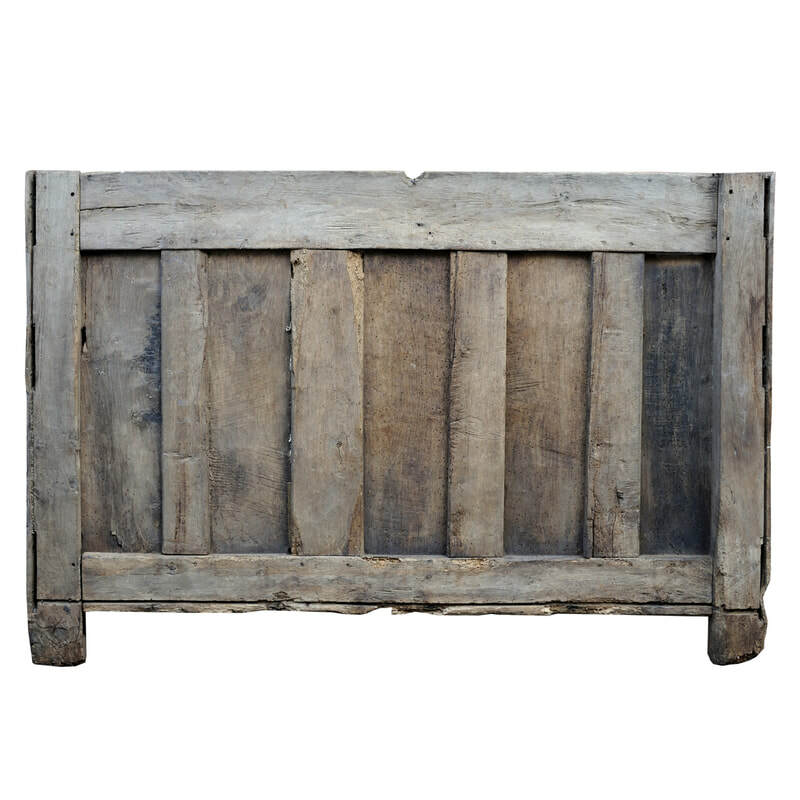 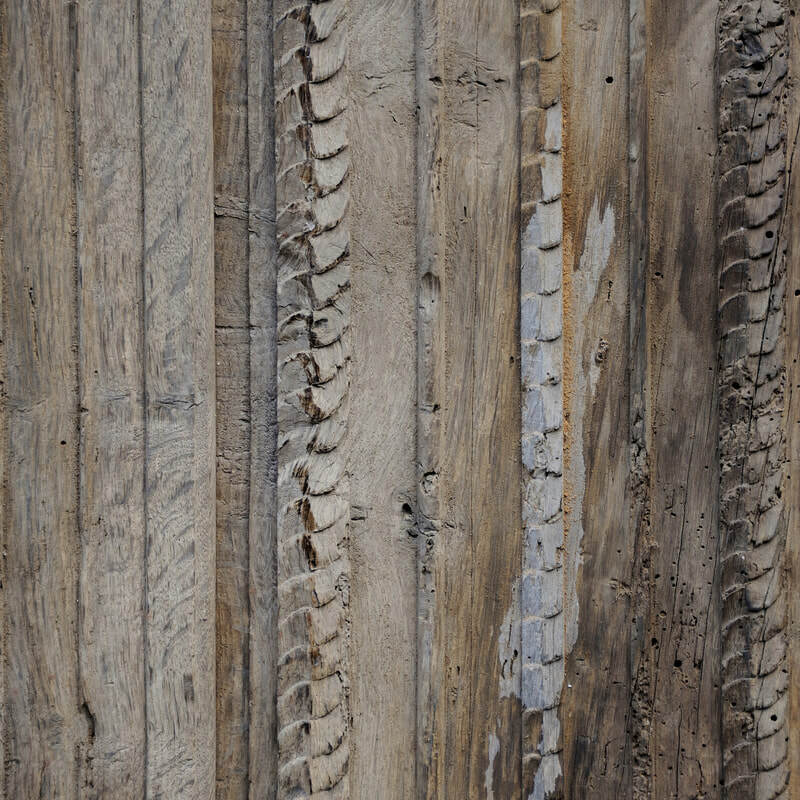 ​A massive rare mid 17th Century oak panelled Coffer/Ark front in dry barn found condition. 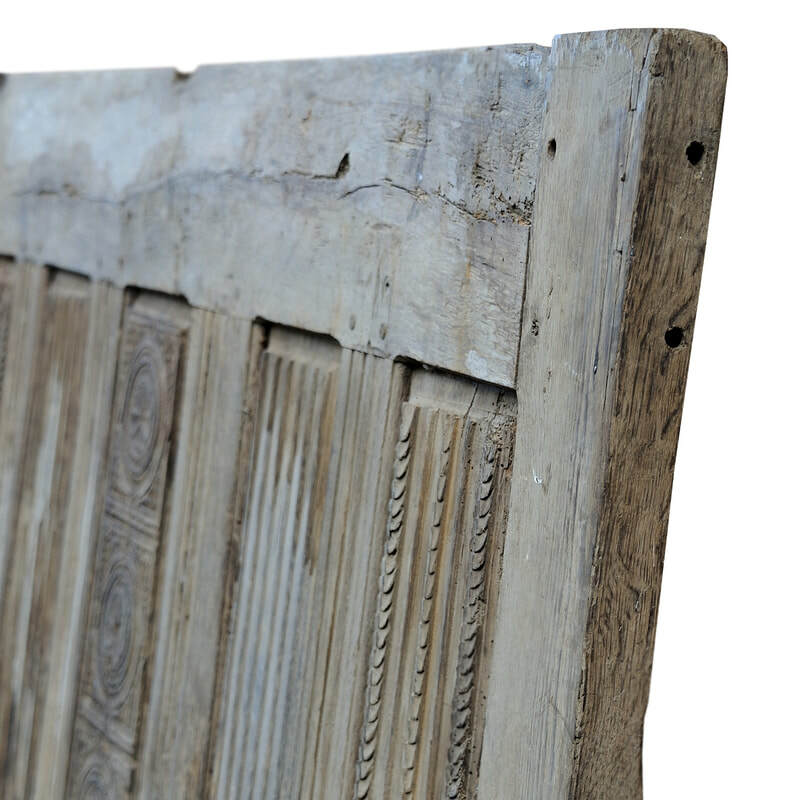 With linen fold panel and stylised cartouche, circa 1660. 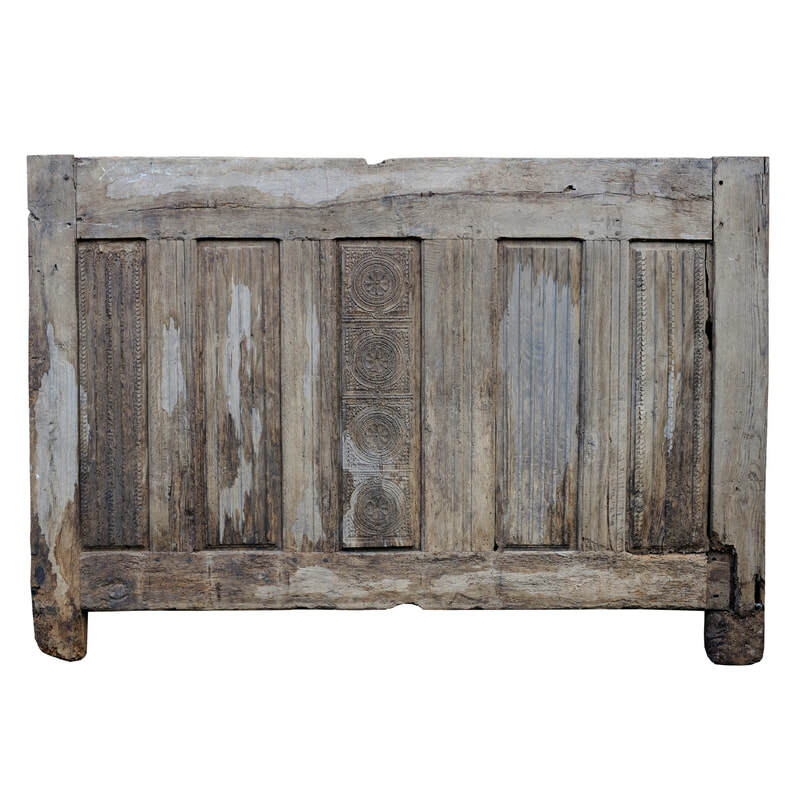 Would make a fantastic headboard for a large bed.